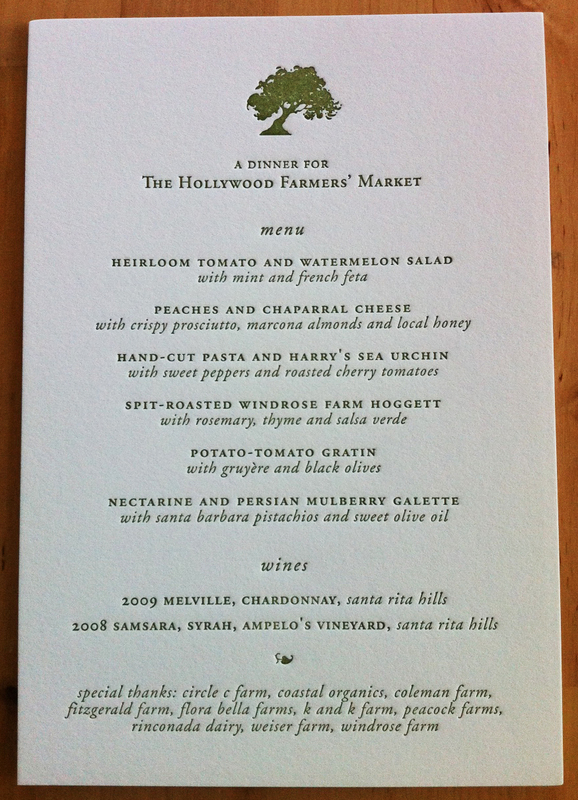 When the production of The Cooking Channel series “He Cooks She Cooks” asked me to create a printed menu for a benefit dinner cooked by Suzanne Goin and David Lentz, I jumped at the opportunity. I LOVE cooking (well, baking mostly but more top of the stove lately) and I LOVE the Hollywood Farmer’s Market. So it was an easy “YES”. They gave me the menu which was based on locally available ingredients, and I typset and printed the menu in a jiffy. 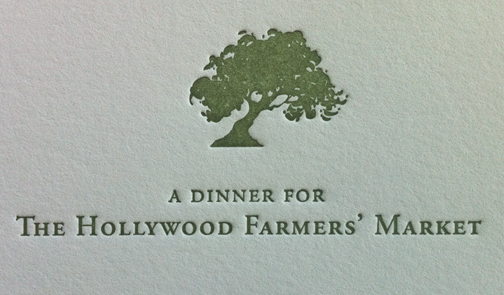 Hopefully the letterpress was helpful in raising money for the Farmers Market! The show aired this past Sunday, but hopefully will repeat so everyone can see it! Oh, follow this link to a better description of the show and the recipes for some of their creations…. This entry was posted in art, baking, paper, printing, tree free paper, Uncategorized and tagged baking, Letterpress, Los Angeles, printing, soy based ink on October 19, 2011 by tinypine.